I'm finally feeling on top of things in regards to my #pinterestsamplerquilt blocks. At least for now, blocks will be shown at regular intervals. 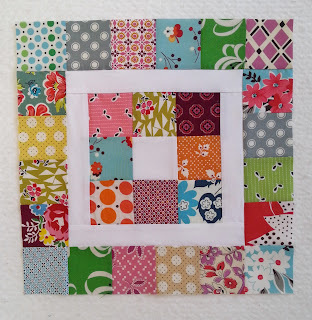 Block number 5 features an oldie but goodie block design by The Sometimes Crafter. It's one I've loved for a very long time and features my favorite thing: 2.5" squares! If I had the stamina/will power I'd make an entire quilt using this design as my little scraps are overflowing! A whole quilt of that block would be beautiful! But it will look great in your sampler, too. Good job! I like this block too and I've thought about making a quilt with this one too! What a great block!! I probably need to do something like this to attack my scraps, but it'n not really the sewing that bothers me about that- it's all of the cutting! Lovely! Great work on the piecing! 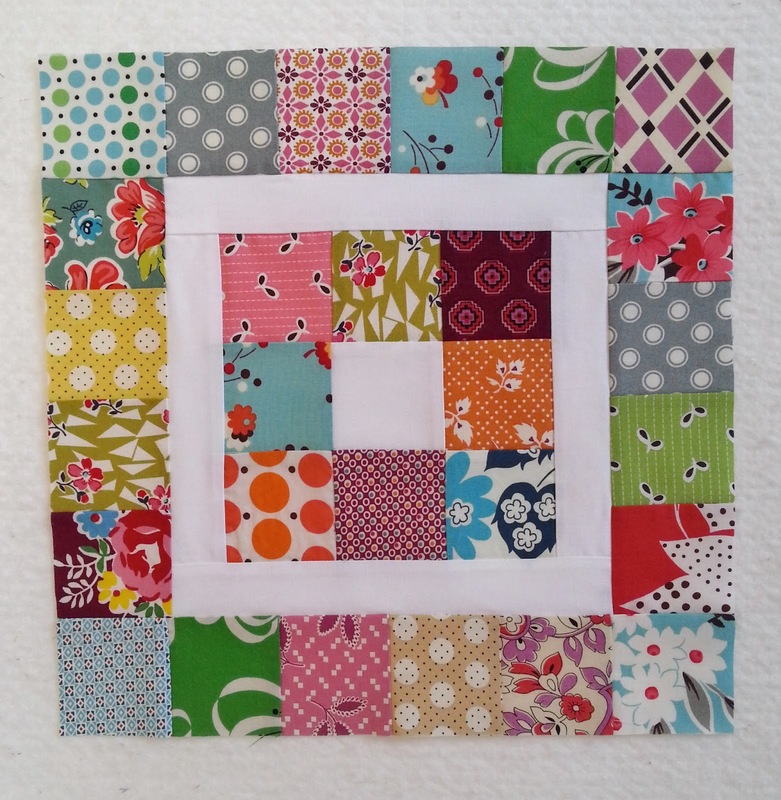 Fun block for featuring small scraps of favorite fabrics. Enjoying the variety of blocks you are sewing in this Pinterest quilt.